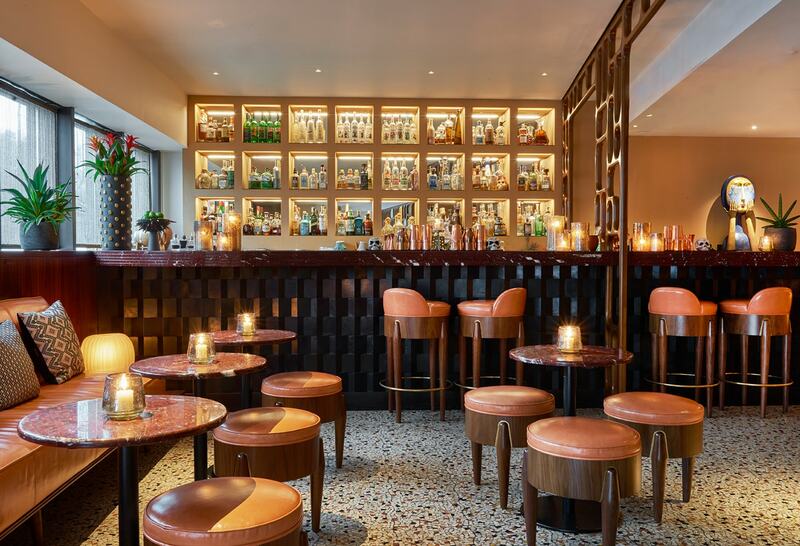 Ella Canta: A Mexican Taste Sensation In The Heart Of London | To Work Or PlayTo Work Or Play | A blog of two halves: Lifestyle guidance for city-savvy socialites, and insight, inspiration and opinion for ad-curious folk. 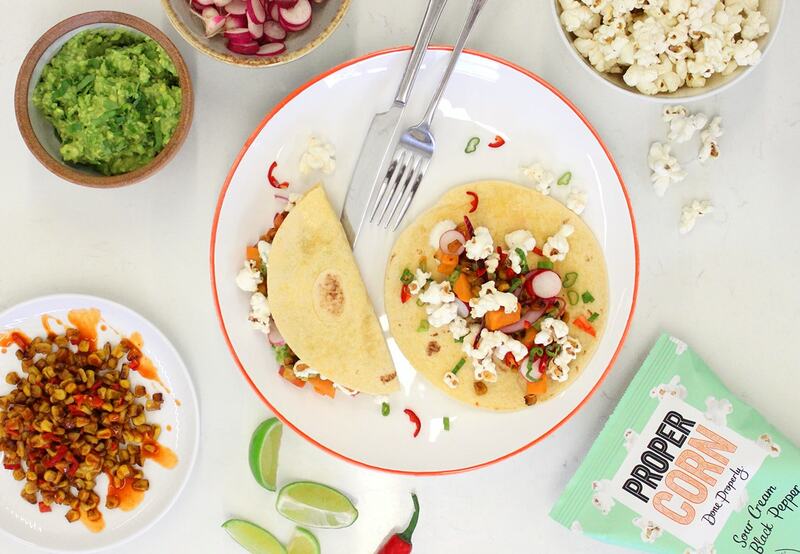 Fancy a Mexican night with the girls or a swanky date night with a difference? 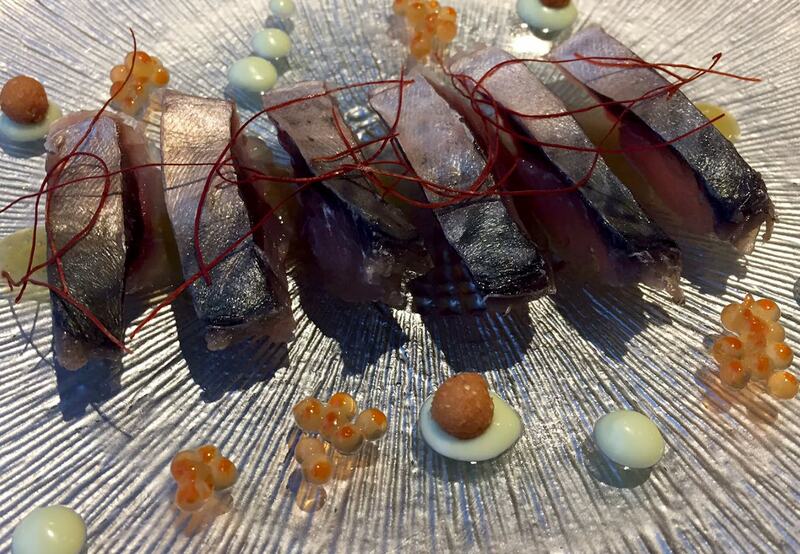 Emily enjoys the taste sensations of Ella Canta in London’s Intercontinental Park Lane. 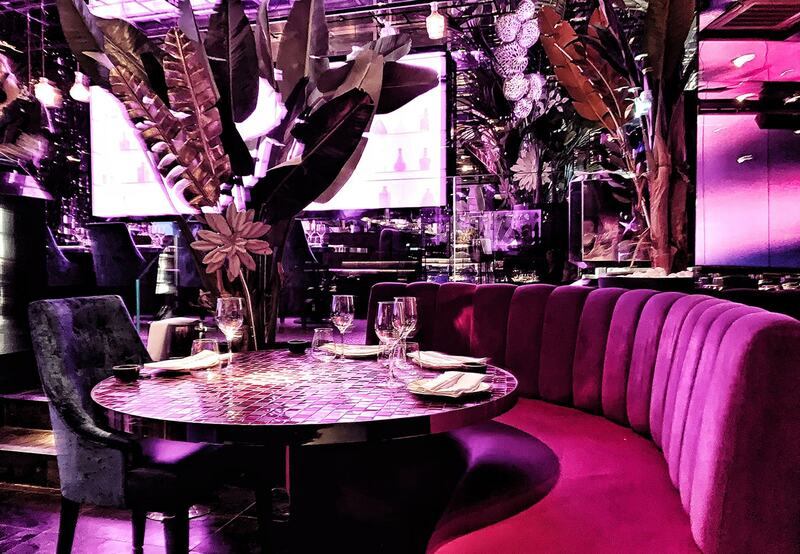 There’s something pretty swanky about going for dinner in Hyde Park Corner. You feel like you’re in the midst of it all – the statues, the imposing buildings, the fringes of Hyde Park (and endless Boris-Biking tourists). 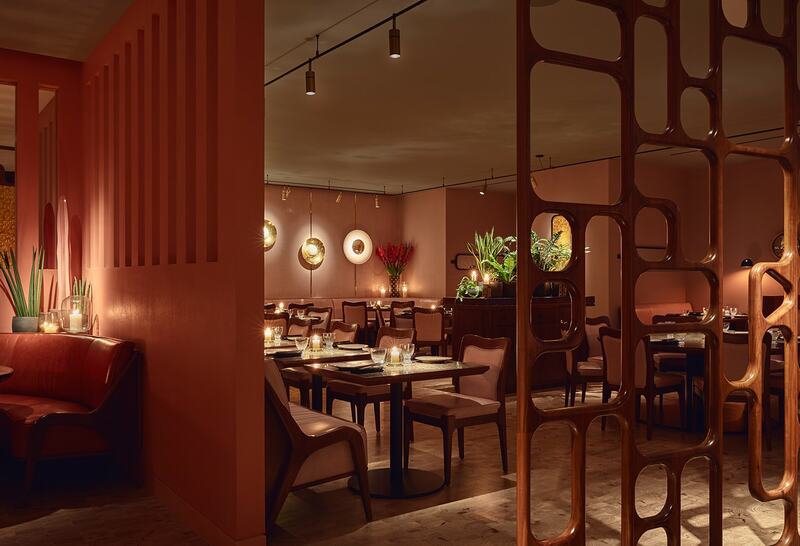 Ella Canta is tucked discreetly at the side of the Intercontinental Hotel Park Lane and it’s a Mexican restaurant that is a must try for foodies keen for authentic flavours and genuinely interesting dishes. Erase all previous Mexican meals from your head. 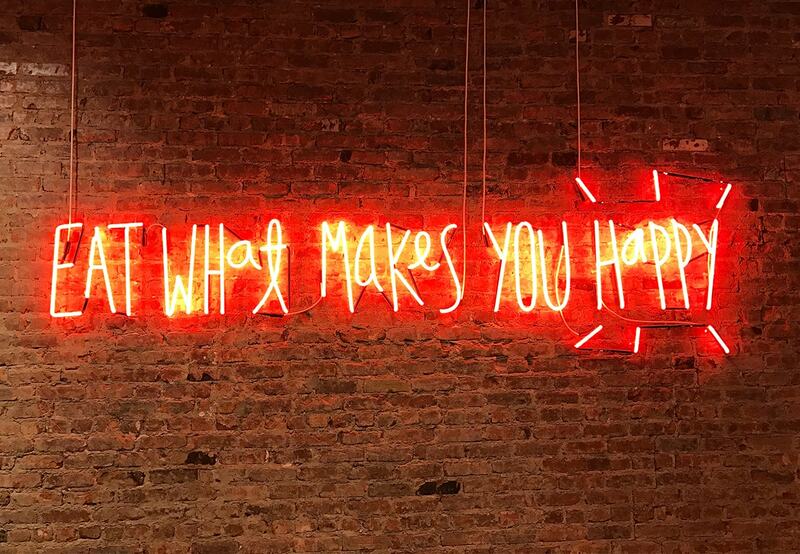 You won’t find bottomless nachos, cheap frozen margaritas or piles of grilled cheese here. 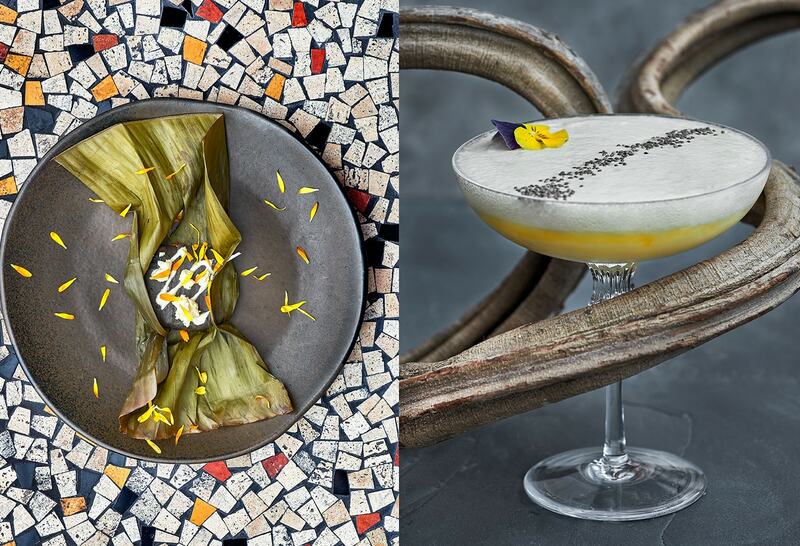 Instead, Martha Ortiz, Chef Patron of Mexico City’s award winning Dulce Patria (regularly cited as one of Latin America’s most innovative restaurants), has created a stunning offering which aims to “deliver the beauty, vibrancy and spirit of Mexico to London in a total experience of the senses”. 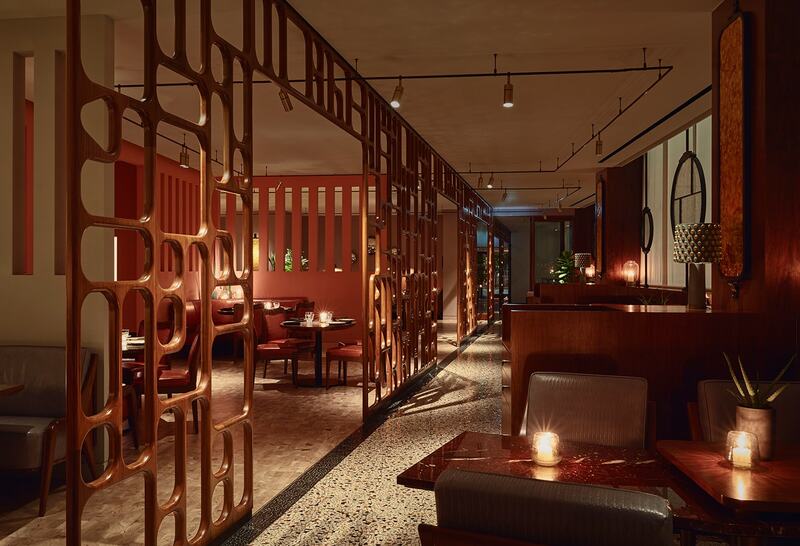 Despite being in one of the capital’s most fancy five star hotels, Ella Canta is fresh, fun and not remotely stuffy. The staff float around the David Collins Studio designed space wearing Frida Kahlo-esque headpieces and looking like they’re having a blast. 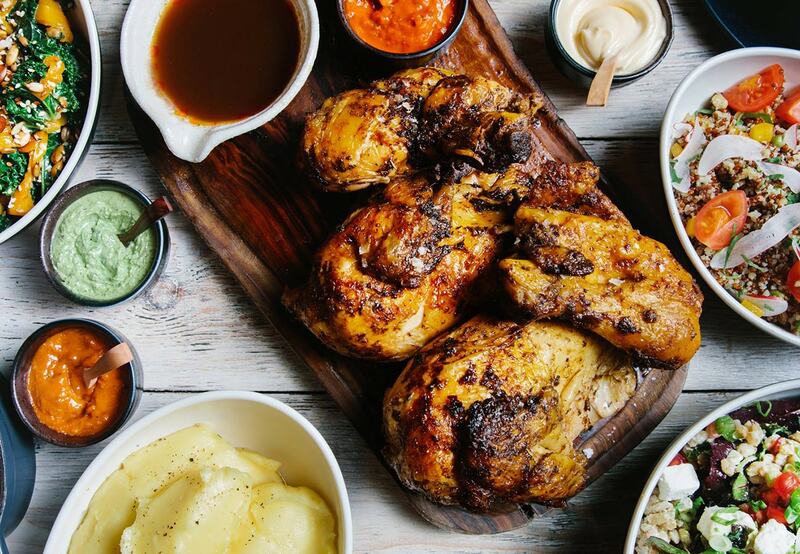 They know their stuff, happily talking you through the menu and mentioning their favourites – always a good sign. Eating out when pregnant is often a tiny bit painful – gone are the days of large glasses of wine, rare steak and divine fresh sushi. However, Ella Canta offered me a range of their Agua Frescas whilst my husband browsed the cocktail list. 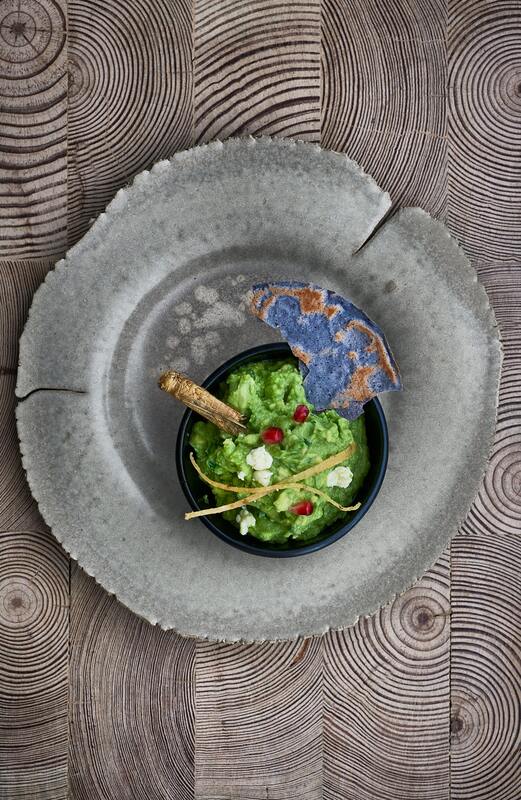 The ‘Watermelon, Pink Peppercorn and Habanero’ option more than made up for the lack of alcohol and we enjoyed it alongside the ‘Guacamole Nacionalista, las joyas Mexicanas’ – which was guacamole, topped not only with pomegranate but also a gold (edible) grasshopper. There are numerous routes to take menu-wise here. 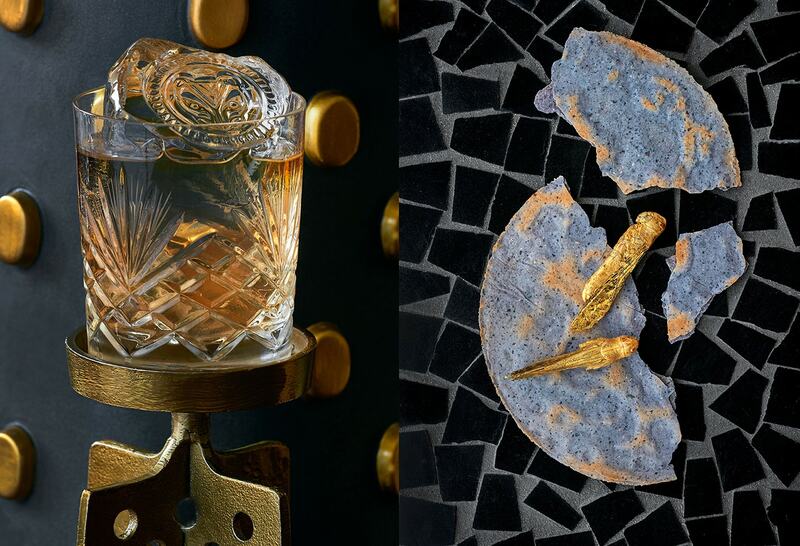 When we visited, the Gastronomic Heroism Tasting Menu (priced at £70) walked you through the history of Mexico and offered numerous dishes and tasters alongside cocktails with Tequila or Mezcal. If you’re visiting for a special occasion or want to get the full experience of Martha Ortiz’s extraordinary artistic flair, this is an excellent way to ensure you don’t miss a thing. 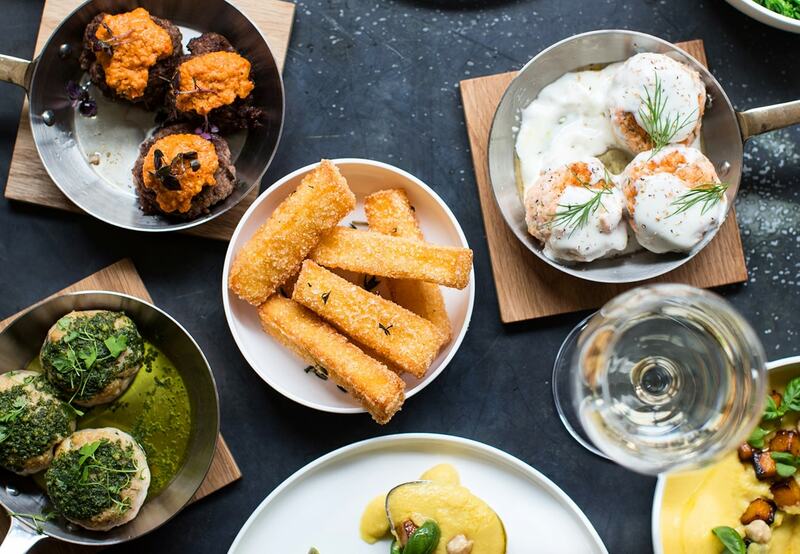 At weekends, there’s a weekend brunch (priced at £45) which gives the option of 3 courses with 90 minutes of unlimited margaritas or sparkling wine. A brilliant option for groups of friends or a family weekend outing, there are novel delicacies such as the Shrimp Aguachile and Tamal Mexicano, in addition to more familiar dishes like the Huevos Rancheros or Seasonal Fruits with Coconut Yoghurt. 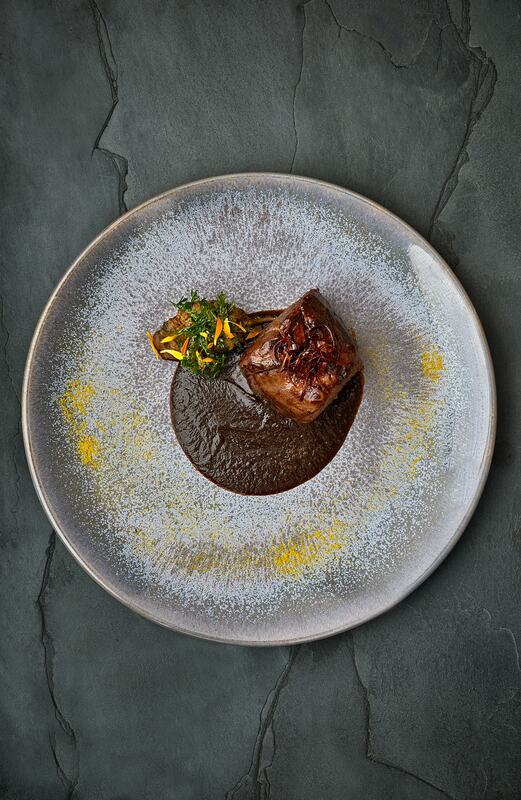 We opted for a la carte which is available from 5.30pm each day (and if you’re up for some entertainment, there’s a live DJ on Friday and Saturday nights). 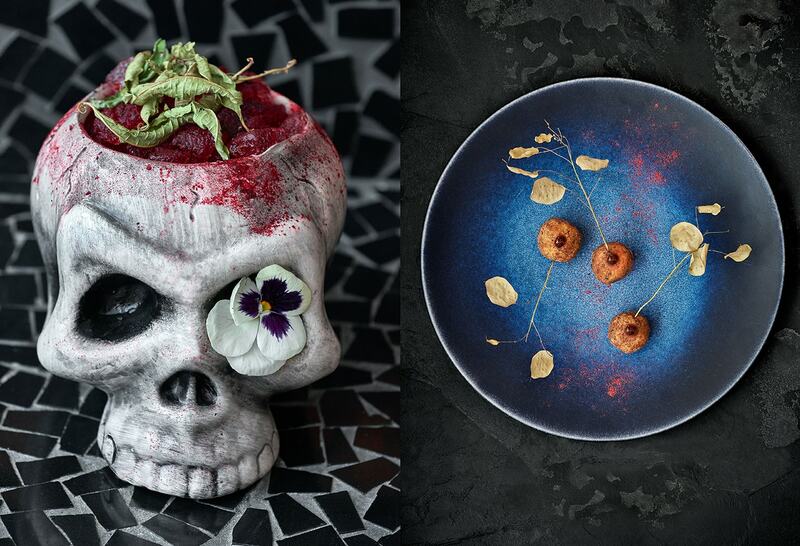 The menu is set in the style of a theatrical production with ‘Overture’ being the Appetisers, through to ‘Final Act’ as dessert. 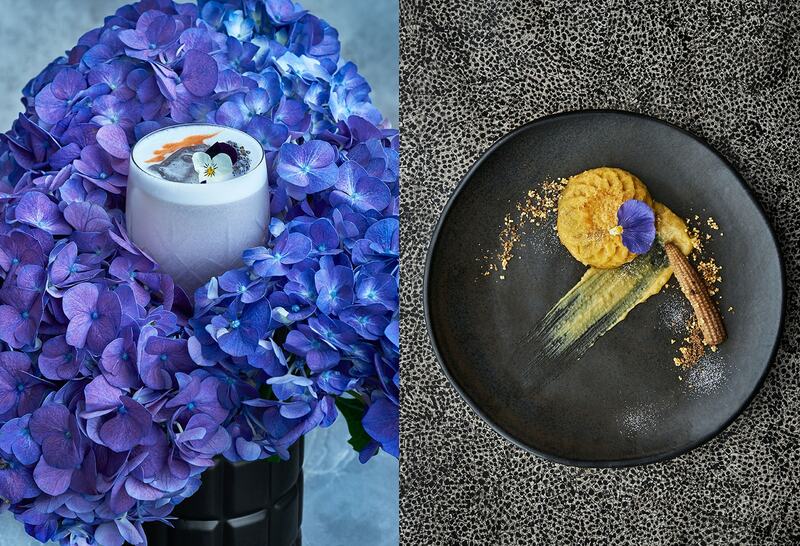 My husband went straight in for the Sea Bass Ceviche which comes in a ‘sangrita’ sorbet to create a dramatic appearance. 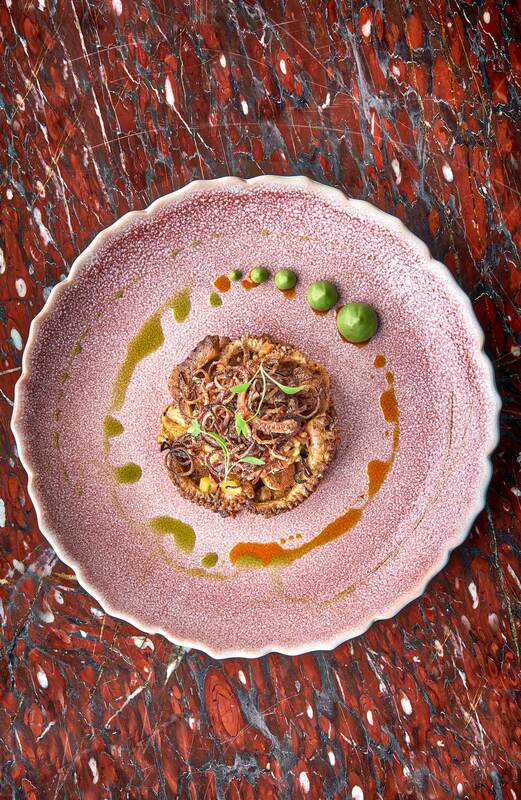 I raved about the Pulpo con Salsa – also beautifully presented with a wonderful smoked chile sauce. For mains, the Carne Asada is an excellent option and if you haven’t tried cactus salad, this is the place to do it. Ella Canta is a good option for vegetarians too however with dishes throughout the menu and several vegan options. 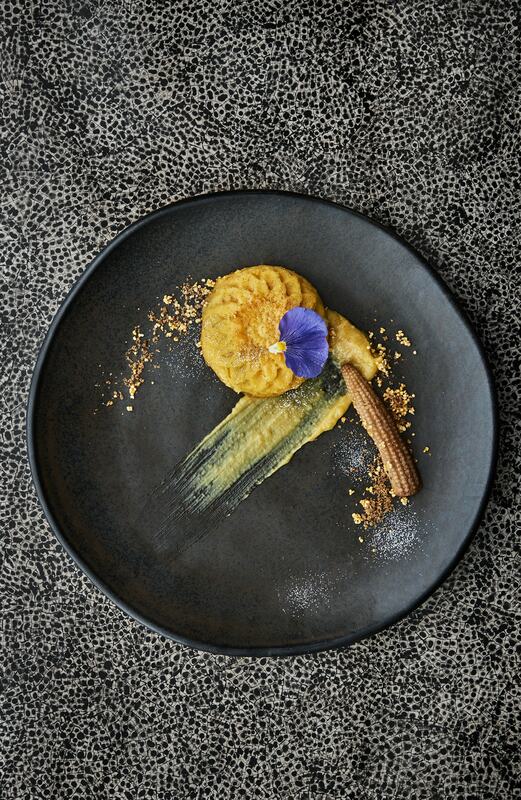 If you still have room, the desserts are pretty show stopping too – we went for the one named : The rain that extinguishes the fire, cacao and charred maize ice cream, sprinkled with magic chile and tortilla powder (told you these guys love the drama). It was superb, although talking of vegan I went for the Vegan Hot Chocolate – made with coconut milk, chocolate metate from Oaxaca, mint and toasted pumpkin seeds. It was like nothing I’ve tasted before and such a treat at the end of a decadent evening (oh what a change from the days of a digestif).